Gear up folks, as your wait, is about to get over! 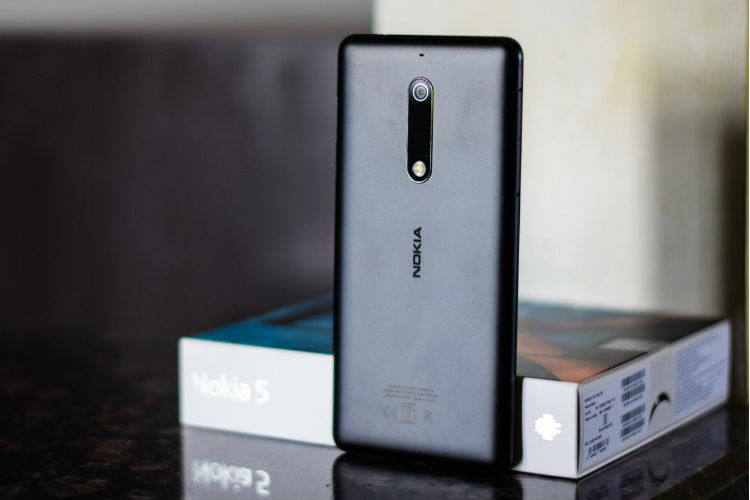 After being available for pre-orders for over a month, Nokia 5 smartphone will finally be available for sale in India. The smartphone will be available for sale via offline stores starting this Independence Day i.e. August 15, 2017. The device will be available in select retail store across the country including Delhi, Chennai, Mumbai, Bengaluru, Lucknow, Chandigarh, Kolkata, Indore, Jaipur, Pune, Ahmedabad and Bhopal among others. Priced at Rs 12,499, Nokia 5 will be available in four colour variants including Copper, Matte Black, Tempered Blue, and Silver. As a part of the launch offer, Vodafone subscribers will get 5 GB data free, which will be valid for a period of three months on a monthly recharge of Rs 149. Apart from this, interested buyers will also get Rs 1,800 off on hotels and Rs 700 off on domestic flights on making their reservations via Make My Trip. In terms of specifications, Nokia 5 features a 5.2-inch HD IPS display with Corning Gorilla Glass protection. It is powered by Qualcomm Snapdragon 430 system on chip (SoC) and it runs on Android 7.1.1 Nougat. It sports 2 GB RAM and 16 GB internal memory, which can be expanded up to 128 GB via a microSD card. It features 13 MP rear camera with PDAF and an 8 MP front camera. It is backed by a 3000 mAh battery and LTE Cat 4, Wi-Fi, Bluetooth 4.1 and USB OTG for connectivity. Meanwhile, Nokia 6 is up for pre-booking on Amazon India and will go on sale on August 23, 2017. As a part of the Nokia 6 launch offer, the company is offering Rs 1,000 Amazon Pay balance to Amazon Prime users. Apart from this, Amazon Kindle users will get up to 80 percent off on Kindle eBooks and Rs 2,500 off on (Rs 1,800 on hotels anD Rs 700 on flights) making reservations via Make My Trip. Also, Vodafone users will get 45 GB data free for 5 months.